This in-wall access point provides network and internet availability for both wired and wireless users. 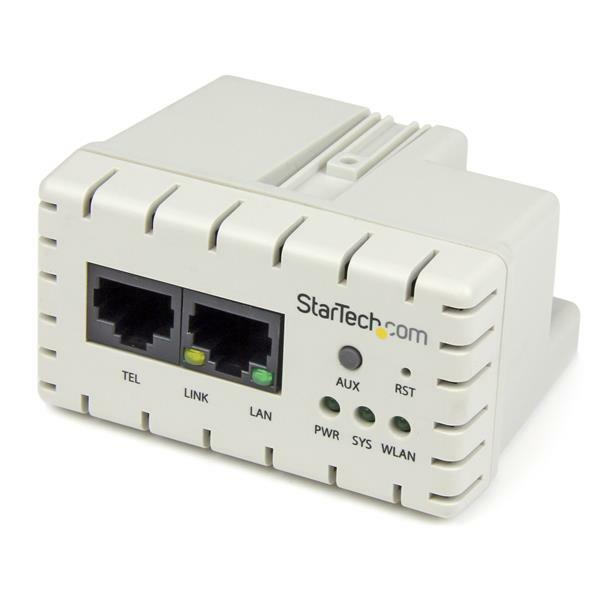 The sleek in-wall design with PoE enables you to use your existing CAT5 infrastructure to easily replace your standard RJ45 jacks, adding the benefits of dual LAN ports and Wireless-N connectivity. This access point can be discretely integrated into any room where internet or network access is required. 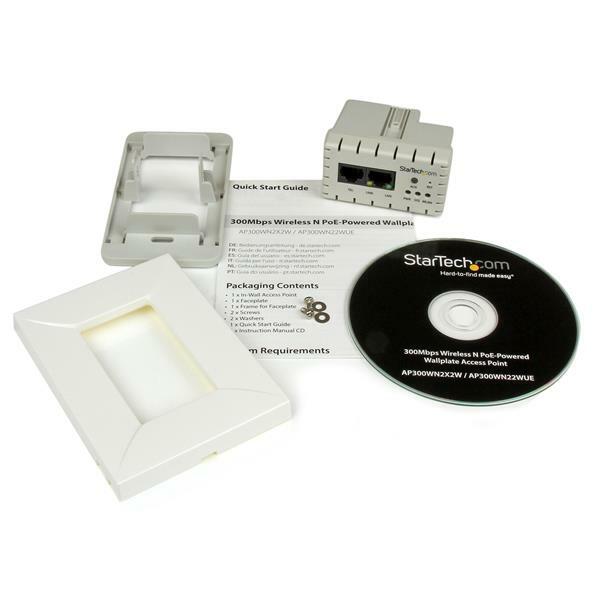 The wireless AP installs into any standard 1-gang receptacle box and features an elegant design for a seamless integration into any modern space. The sleek design ensures a tidy professional installation that is perfect for hotel rooms, hospitals, offices and schools. 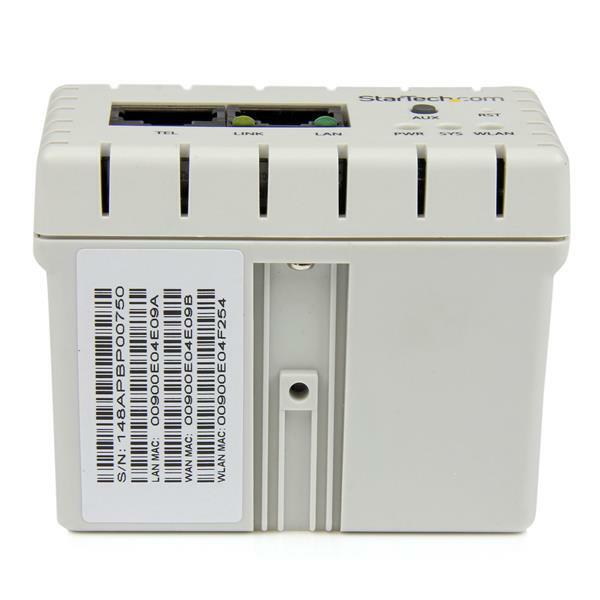 The wireless access point is powered using Power over Ethernet to conveniently connect both data and power using an 802.3af PoE switch or injector, avoiding the hassle of in-wall power or external power adapters. 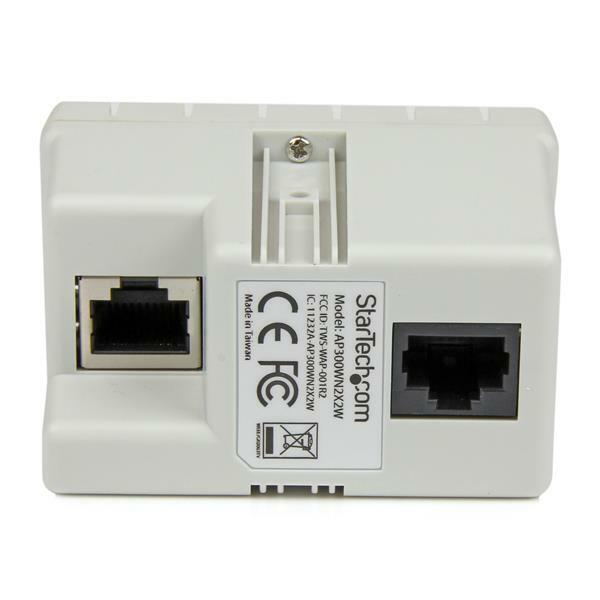 The access point offers two front RJ45 Ethernet ports, with the first operating over the PoE connection and the second offering a transparent pass-through port that can be used for either a phone connection or a secondary LAN drop. The easy to incorporate nature of this AP is ideal for system integrators when planing the construction phase of schools, offices or residential buildings. For fast performance the wireless AP is compatible with 802.11b/g/n standard supporting wireless data rates up to 300 Mbps on the 2.4GHz frequency. For a secure connection the access point supports WEP, WPA, and WPA2 authentication. The device also incorporates an easy-to-use web-based utility to provide several customization options such as multiple SSIDs, remote firmware upgrades and event reporting. 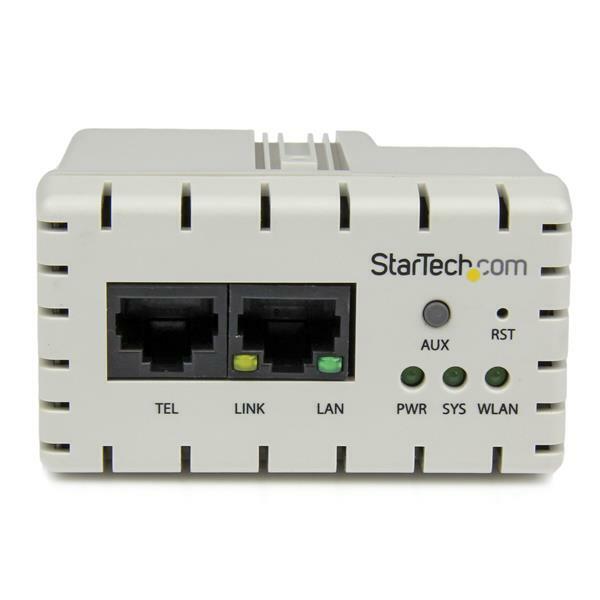 The AP300WN2X2W is backed by a StarTech.com 2-year warranty and free lifetime technical support. This device's default static IP address is 10.59.1.200. To perform a factory reset, press and hold the AUX and RST buttons simultaneously for 5 seconds. Make sure that the AP300WN2X2W is on the same network as your computer. In an Internet browser, enter the IP address of the unit. The default IP address is 10.59.1.200.